If you want to go on a Caribbean or Bahamas cruise, why not make the Big Easy your departure city? 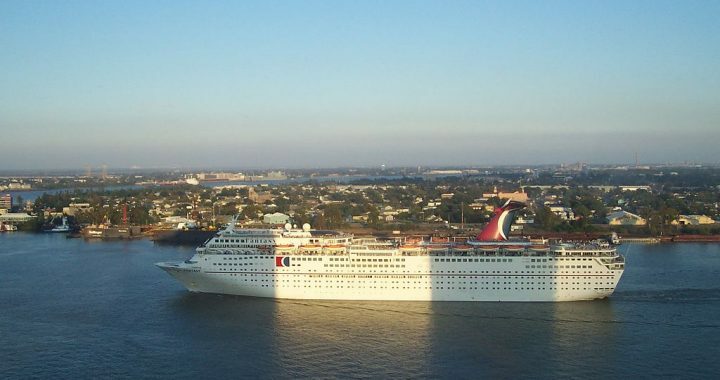 Several cruise lines offer cheap cruises from New Orleans. If you’re not a resident of the city, you might want to extend your vacation by staying a couple of days before and/or after; just turn your trip into two vacations in one. Since this is Louisiana, not all cruises have to be to the Caribbean. There are also Mississippi river cruises on steamboats offered by the American Queen Steamboat Company. New Orleans is the departure port for the Lower Mississippi river adventures. America Cruise Lines also offers cruises along the Mississippi River, ranging from eight to fifteen days. Some are round trip and some end in cities like Saint Paul, MN. This is a great opportunity for the history buff who is interested in learning about Cajun history and the Civil War. There are many beautiful sites to see along the river, with stops in Davenport, Vicksburg, Baton Rouge, Memphis, etc. Unfortunately, Mississippi River cruises tend to be more costly than Caribbean cruises. Part of this reason is because they tend to be longer. However, it’s still worth going if you can find a good deal. Take your time and compare rates. This type of cruise is worth going on if you want to experience major cities and small American towns alike. Most cheap cruises from New Orleans are found with Carnival and Norwegian cruise lines, both of which offer itineraries filled with warm, exotic places like Cozumel, Mexico, Montego Bay, Grand Cayman, George Town, Ochos Rios, Costa Maya, Roatan, Belize City, and more. Some cruise itineraries are centered toward the Western Caribbean, some in the Eastern Caribbean, and some around Mexico. It’s pretty obvious that “off-season” for cruising in the Gulf of Mexico and Atlantic is during hurricane season in the fall. If you’re brave and adventurous, you will often find very cheap deals during the months of Sept. – Nov.
One way to save money, especially if you have a lot of cities on your itinerary, is to not participate in all of the cruise line’s excursions. You can either simply lounge on the beach or in a affordable restaurant near the shore of each port of call, or arrange for your own excursions with a third party. Look out for special discount offers on online travel sites that include perks like on-board credit and free cabin upgrades. If you are going to fly to New Orleans, see if you can get a discount by booking your airfare and cruise at the same time. If you’re driving there or live there, look for cheap or free parking options near the port. Some hotels near the port even offer inexpensive or free parking if you stay for at least one night. Whether you want to go on a short, two or three day cruise or a 21 day cruise, just use online price comparison tools to help you find cheap cruises from New Orleans. The best cruise shopping and price comparison tools can be found with Expedia. Discounts of all kinds can be found, no matter what your travel plans are like. It’s easy to compare cheap cruises from New Orleans, and a variety of itineraries are available. Posted in Expedia and tagged cheap cruises from new orleans, expedia.